12:50pm EST - Welcome to a new week in Rust development! The much anticipated update has not been released to main yet. Fortunately, based on some tests of the latest dev build, it looks like this update is getting pretty darn close to launch ready. For more on what’s coming in this update, check out my post from last week. I’ve been playing around on our development branch server this morning to test the latest build of the code. I’m happy to say, this update is really coming along nicely. The crippling UI lag we were seeing over the weekend has been fixed. Building and gathering are working (except for stone nodes for some reason). My FPS is freaking great and the game is noticeably looking better (water, ground textures, colors). There are still some small bugs to be worked out. Animals (except for chickens) are giving human meat, but that’s not a huge deal. 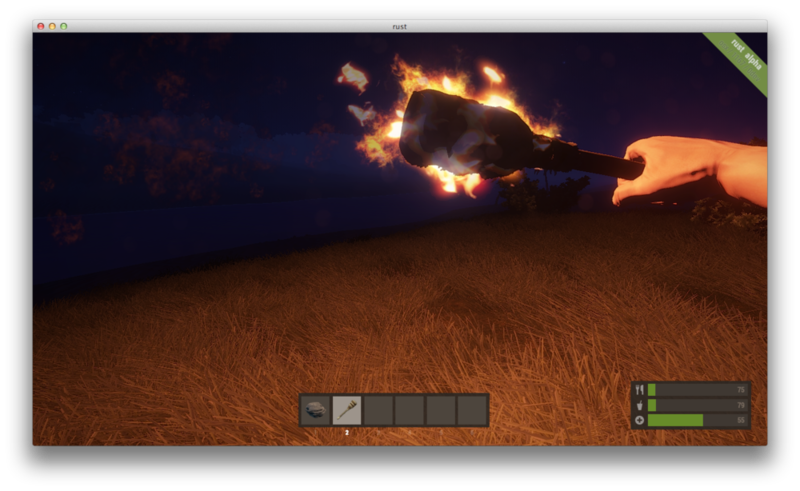 Also, deployed objects (campfires, boxes, bags, etc) are sometimes disappearing after being placed on the ground. Although I received multiple reports of this happening, I was unable to recreate it on the latest build so it may have already been fixed. Another thing I haven't tested fully is if animals are still killing each other off, leaving none for the players. This does, however, appear to be improved. Basically, this update is looking very close to being launch ready. I’ve got my fingers crossed we’ll see it launch today! With this new update comes the introduction of the newest monument: The lighthouse. A long time in the making, this little guy is a welcomed addition. My only gripe, and I think others will agree, is it is too damn small! Compared to the satellite dish it looks like a toothpick. It should be at least 3 times bigger! People who have lost several minutes worth of work when the server restarts will be happy about this one. Garry has added a helpful new command: server.save. This will allow server owners to force a save whenever they want. Also, this command will run automatically when quit is called on a server. This is a subtle but nice effect: Bringing up your inventory tones down the intensity of the colors on the screen. This has been a frustrating exploit since the new build system came out. Although it was apparently fixed in the update 2 weeks ago, it has still been possible to do. Thankfully, it appears this has finally been fixed in all scenarios. 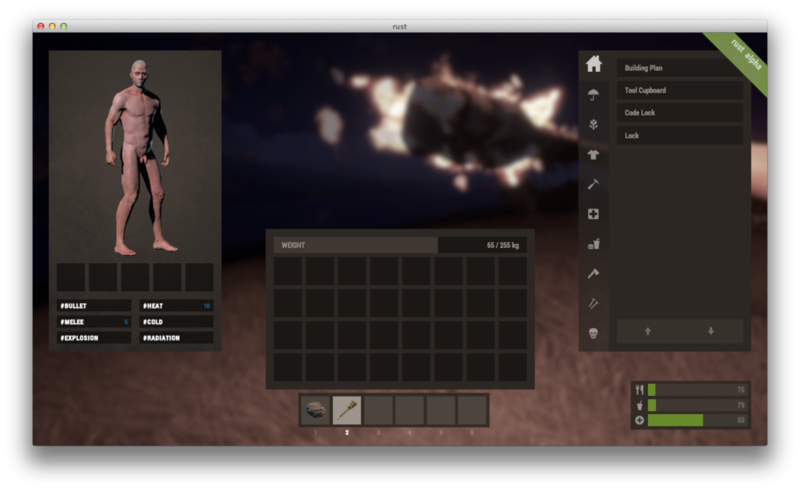 Minh has continued his work on the first person animations. Yesterday he posted this video for running, picking up an item, dropping an item, and shoving people.